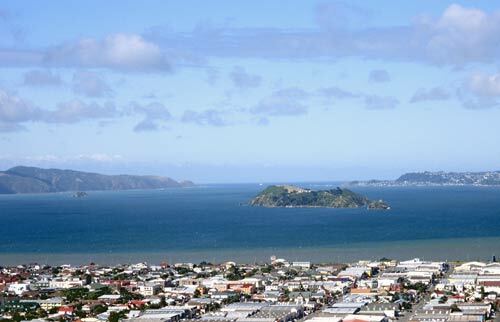 Before European settlement, Māori had occupied the island of Matiu for generations. It was later named Somes Island, and in the 19th century became a quarantine station for people and livestock. During the two world wars, people identified as ‘enemy aliens’ were interned there. Since 1995 the Department of Conservation has administered the island as a sanctuary for endangered species. It is now home to tuatara (lizard-like reptiles) and a number of rare bird species, including kākāriki.